Q: What do you get if you mix a simple, brilliant idea with people that includes Desmond Tutu, Bill Nighy, Richard Curtis, Noble prize winner Joseph Stiglitz and a global movement of 220 million people? A: A global campaign of diverse people united in the belief that bankers, hedge funds and the rest of the financial sector should pay their fair share to clear up the mess they helped create. Bill Gates is the former CEO of Microsoft, a businessman, investor, philanthropist, and author. Naomi Klein is a Canadian author and social activist. Clémence Poésy is a French actor and star of In Bruges, Harry Potter. Clémence starred in the Robin Hood Tax Campaign film 'Future News'. Joseph Stiglitz is a Nobel Prize winning economist and former Senior Vice President of the World Bank. 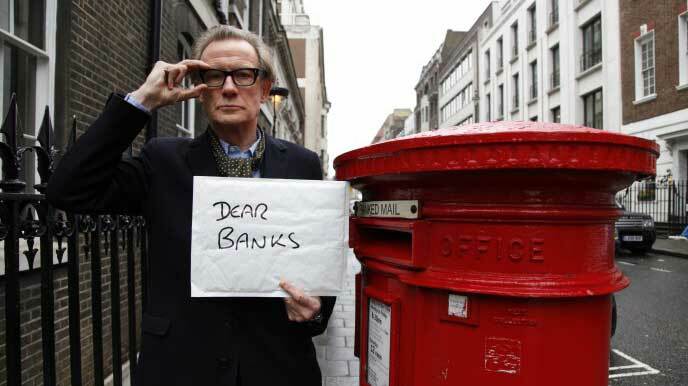 Bill Nighy is a British actor. He stars in the Robin Hood Tax 'Banker' video. Bill is also a global ambassador for Oxfam. In 2011, one thousand economists from 53 countries wrote to the G20 in support of the Robin Hood Tax.